Until now, there has been no economical solution to cooling large spaces; in both initial cost and operating expense. HVLS fans have been utilized in the past to provide massive air movement at low speeds as a cost effective and energy efficient solution to help provide comfort. However, during the high heat of summer and when the heat index soars above 90, the air becomes too warm for the fans to be able to provide any type of evaporative cooling, therefore, they are just moving around hot, humid air. This leads to the fans being turned off and not utilized because the fans cannot deliver that much needed cool breeze to provide comfort and relief. 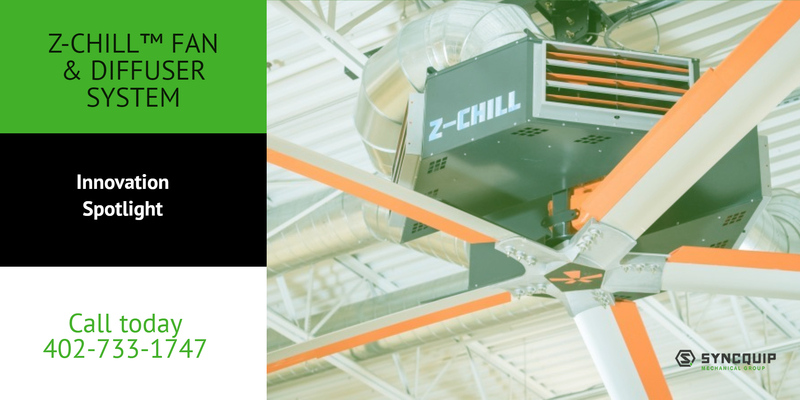 Introducing the Z-Chill™ Fan & Diffuser System, a breakthrough patent-pending technology that will revolutionize the HVLS fan industry. Contact us today so we can find out more about your comfort needs!